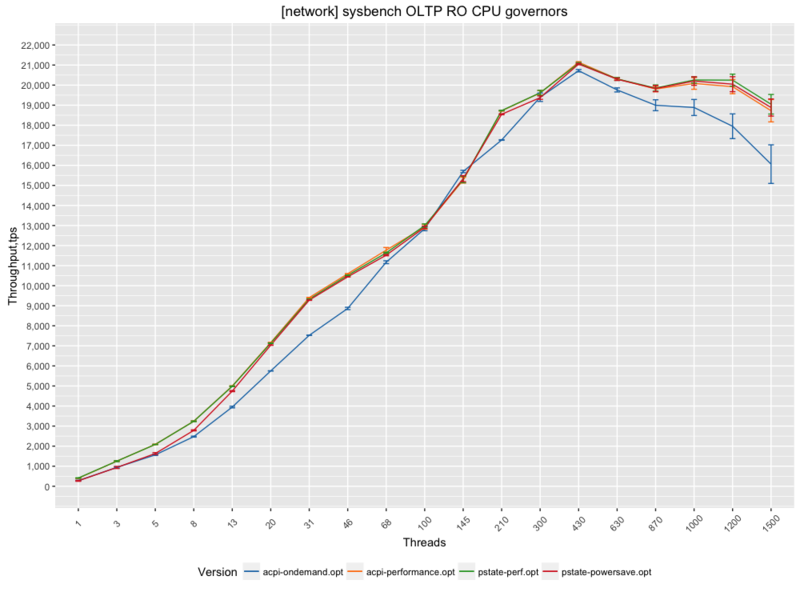 This article looks at how CPU governors and the new Intel CPUs and Linux distros affect MySQL performance. 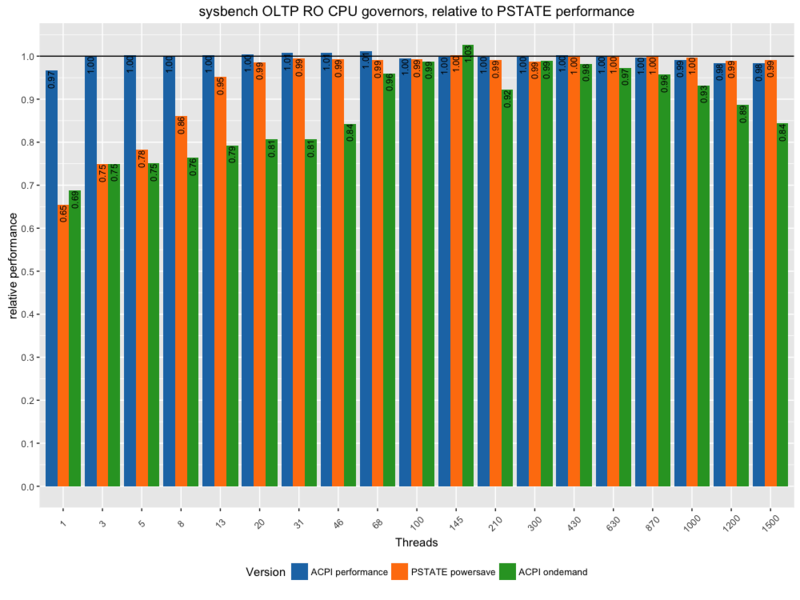 It’s been a while since we looked into CPU governors, and with the new Intel CPUs and new Linux distros, I wanted to check how CPU governors affect MySQL performance. current policy:frequency should be within1.20GHz and2.00GHz. current CPU frequency is1.20GHz(asserted by call tohardware). current policy:frequency should be within1.20GHz and3.00GHz. current CPU frequency is1.50GHz(asserted by call tohardware). Switching between CPU drivers is not easy, as it requires a server reboot—you need to pass a parameter to the kernel startup line. In Ubuntu, you can do this in /etc/default/grub by changing GRUB_CMDLINE_LINUX_DEFAULT to GRUB_CMDLINE_LINUX_DEFAULT="intel_pstate=disable", which will disable intel_pstate and will load acpi-cpufreq. Is there a real difference in performance between different CPU drivers and CPU governors? To check, I took a sysbench OLTP read-only workload over a 10Gb network, where the data fits into memory (so it is CPU-burning workload). My Ubuntu 16.04 starts with “intel_pstate” + “performance” governor by default, but you still may want to check what the settings are in your case (and change to “performance” if it is not set).